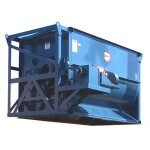 Davis Feed Mixers are built with a variety of options to handle all types of feed. Ribbon Agitators work best with hog and poultry feed since ribbons are more efficient when mixing free flowing material such as grains and concentrates. 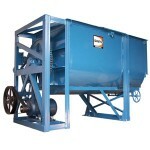 A Feed Mixer equipped with a Paddle Agitator is more versatile and will handle feed containing hay and molasses (which greatly restrict the flow characteristics). 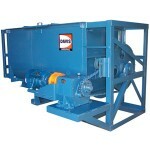 Our Super Duty line of Mixers are designed to handle heavier/more dense products such as premix or mineral mixes. 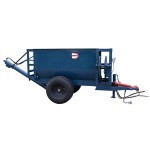 Finally, we offer trailer mounted mixers that will allow you to deliver the feed wherever it`s needed.